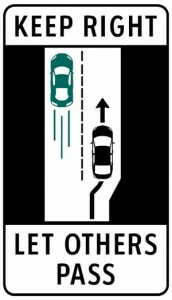 New rule in BC takes effect, hanging out in the left lane is not right-Ingrid Weighton's Driver Education Ltd.
BC’s new highway left lane rules take effect June 12 2015. On highways (with a speed limit of 80 kmh or more) with two or more lanes in the travelled direction, you are required to move into the right lane for travel. No more hanging out in the left lane. 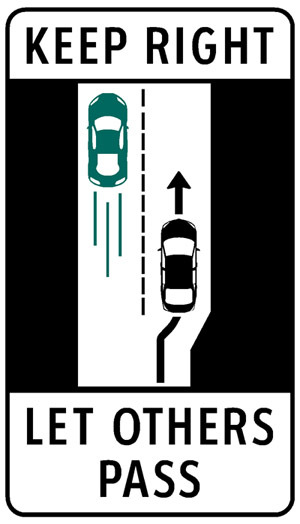 If a restricted HOV or bus lane is the left-most lane on a particular stretch of highway, then the left lane as defined for this law is the left-most regular travel lane.